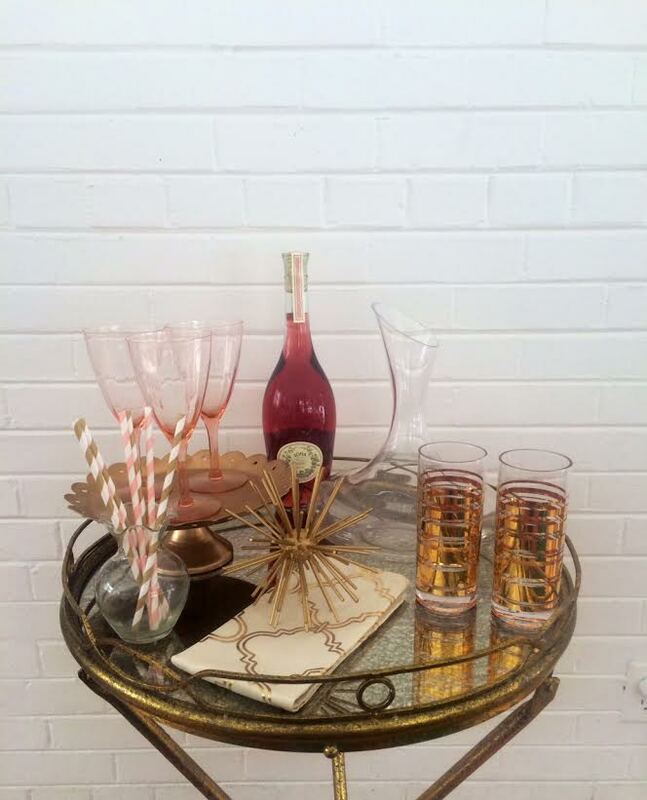 One of my February goals was to finally take the plunge and purchase a modified bar cart! 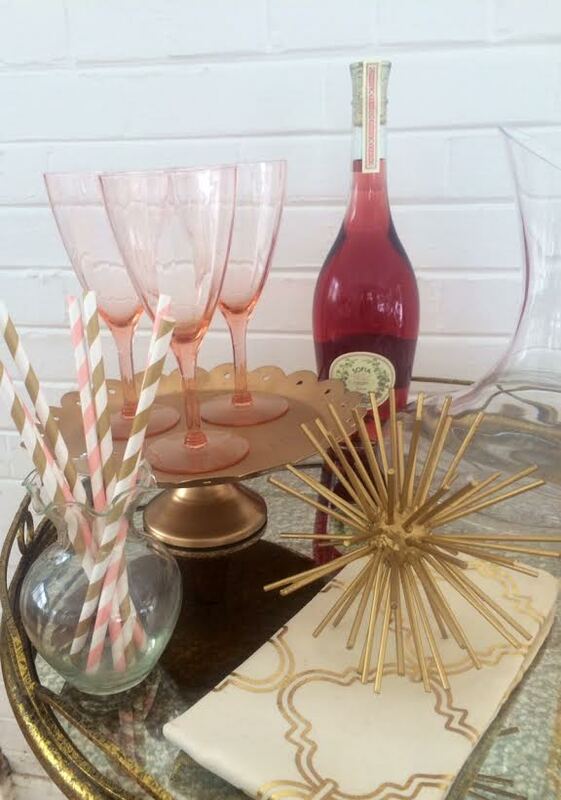 I had been eyeing this gorgeous gold and mirrored glass table/tray from World Market for well over a year but had yet to pull the trigger on it. 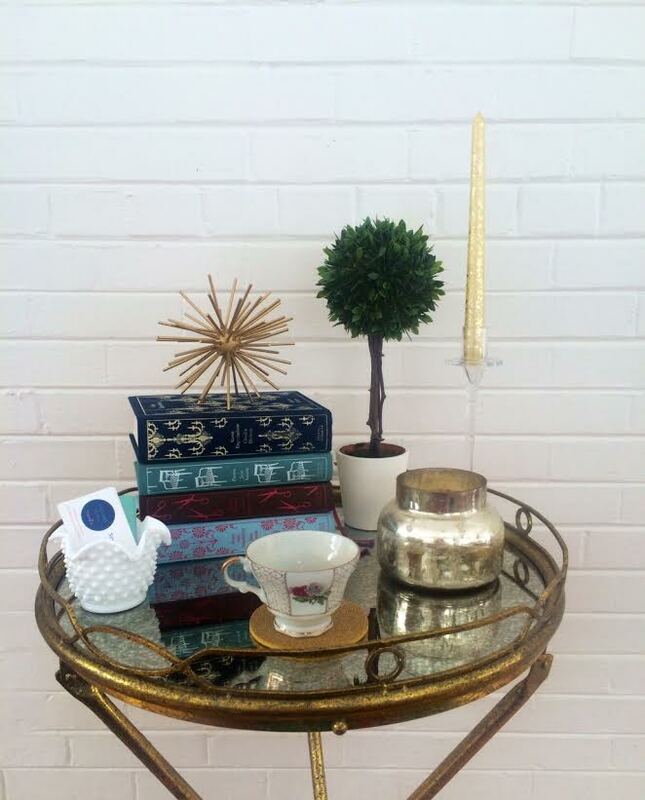 I didn’t want a regular, traditional bar cart, at least not yet, but I decided that this gold mirrored butler tray was the perfect choice for my needs now. I happened to look one morning, and it was on sale for 20% off, plus free shipping. Done and done! 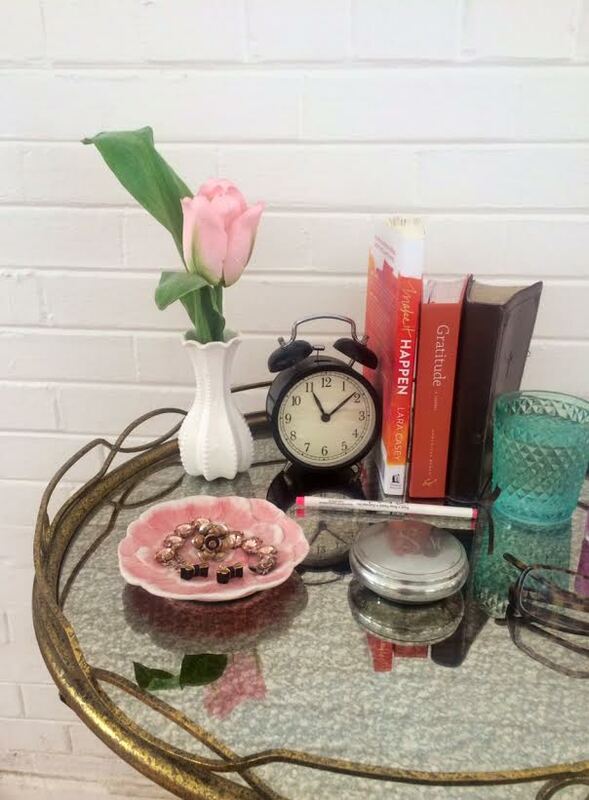 This mirrored table was right around $70 total, which is a definite win in my book, especially since I’d been scouting it out for so long. I love how gorgeous, high-quality, versatile, and gorgeous it is, especially in person. 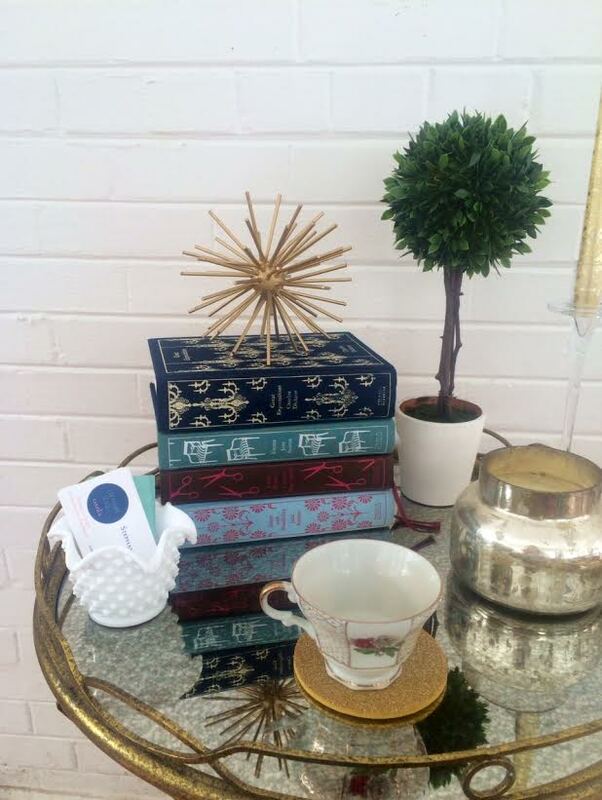 I styled it three different ways to really highlight its versatility, from a bar cart to a nightstand to an end table. 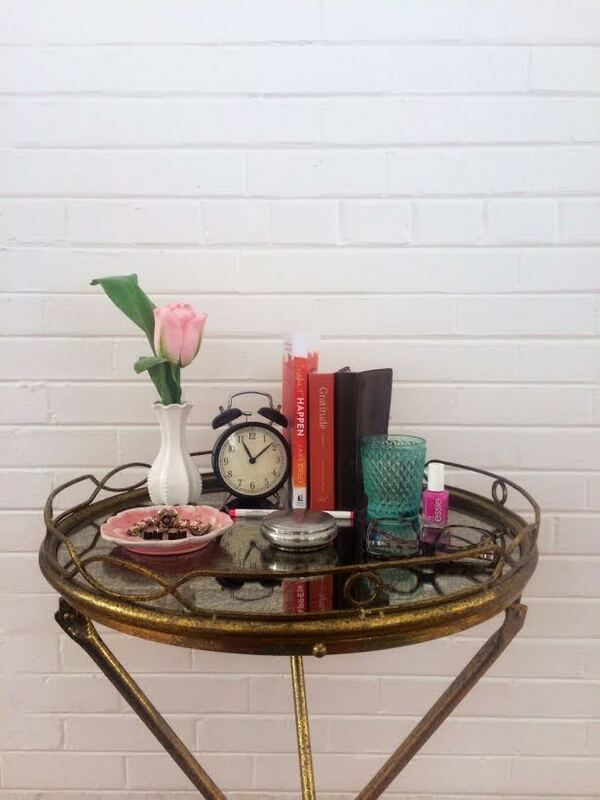 Different household accessories can easily make this mirrored butler tray fit in anywhere – and in style. 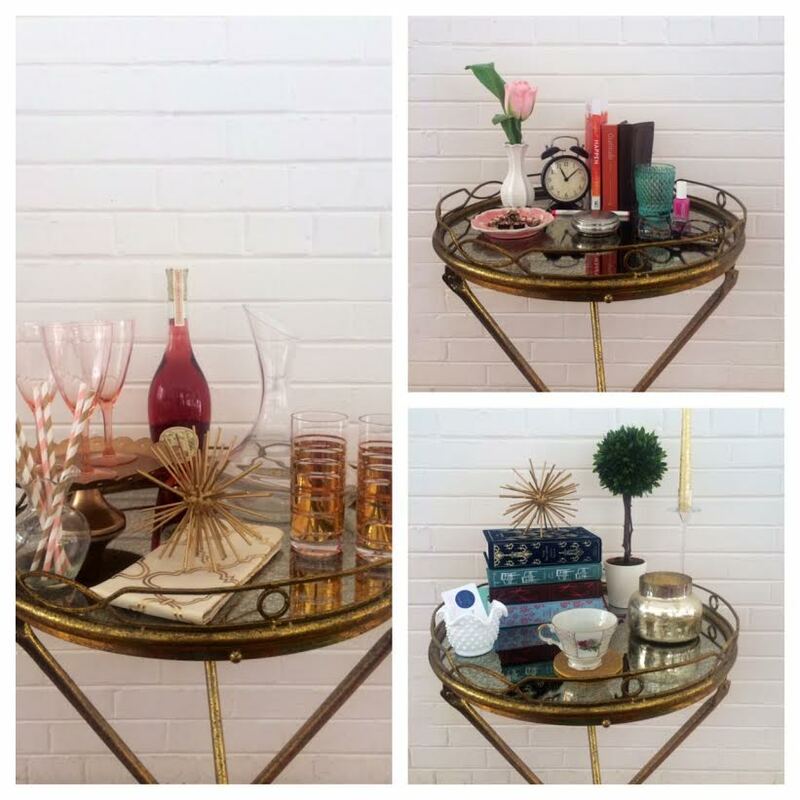 You just can’t go wrong with a gold mirrored tray, especially once its adorned with beautiful accessories, from rose gold glassware to fabric covered classic books to your favorite household items.